If there’s one time pretty much everyone takes family photos, it’s on holiday. 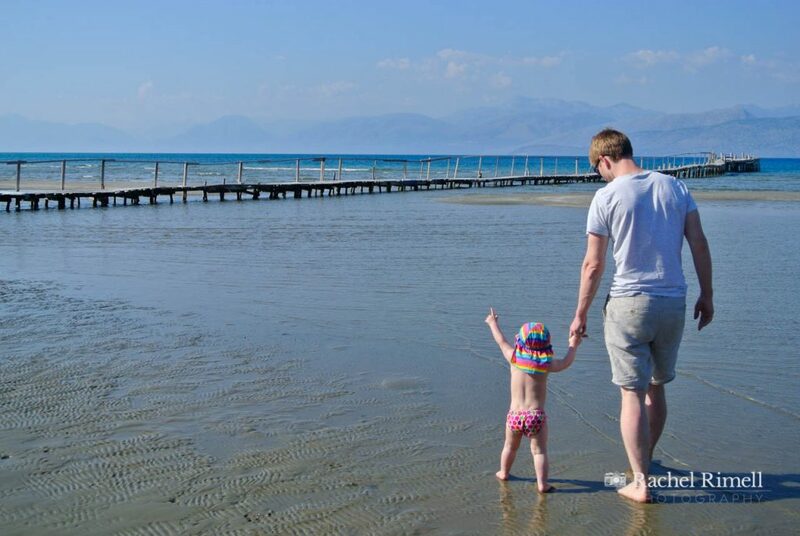 It’s rare you’ll have a professional family photographer such as me on hand to capture all those great sandy, sticky moments so here are a few tips to get the best out of your holiday snaps. 1. Stay out of the midday sun. Not just for sun protection but because it’s one of the worst times to take photos too. The sun is directly overhead casting unflattering and unattractive shadows across everybody’s faces and/making them squint. Aim to take photos first thing or late afternoon/early evening when the light will be softer and more flattering. Just before the sun goes down can be a glorious time for photos – the light is a beautiful golden hue (it’s not called the golden hour for nothing) and people have often packed up for the day so you may have the beach or the pool all to yourself too. 2. Head for the shade. I know, I know – the sun is out, you’ve slapped on the sunscreen and you’re desperate to feel the warmth of the sun on your face. But if you want to get great photos of your family, then a bit of shade will give much better results. Bright but shaded areas are ideal to avoid harsh shadows – dark circles under the eyes and nose – and bright blown out highlights. On holiday shade is usually easy to find – a large parasol, a cafe under a canopy, a big shaded tree (be careful it’s not too dappled) or the shade of a building can all work well. Aim to find the edge of the shade where there’s enough light to illuminate your subjects without being too stark. 3. Be candid: watch and wait! As a London lifestyle family photographer most of my images are natural, relaxed and unposed. Capturing a family as they really are – their true essence – creates some stunning and timeless images families will treasure for years to come. Don’t expect kids on holiday to all line up in a row and smile on demand – just let them play and lark about and photograph them when they’re not ‘performing’ for the camera, but just being themselves. When children forget about the camera is the time water fights happen, magnificent sandcastles are constructed, pool-jumping contests ensue or engrossment in a book or some treasure finds happen. Whip out the camera now and you’ll get some unique images I promise. And they’ll say more about your holiday when you look back on them than any number of posed shots will. 4. Swap the photographer around! How many family photos is mum in? Make sure you swap the photographer around so that everyone gets to appear in the images. If you’re a little camera shy check out my tips on how to look good in photos and how to beat the shyness. 5. Relax! You’re on holiday remember. Join in the fun. Don’t worry that you missed a great shot, wait for the next one. Don’t worry you haven’t got the best camera in the world, or even that you left it in the hotel room. Use the camera on your phone – the best camera is always the one you have with you. You can get some great images on your phone that really capture your memories. If that’s all you have to hand, use it. And of course don’t forget to print out your photos when you get back! They’re no use on a hard drive. Print them out, frame them, put them on the wall! This article has also appeared in the Huffington Post. ‹ How to find the right photographer for you?